What Is Soy Wax? 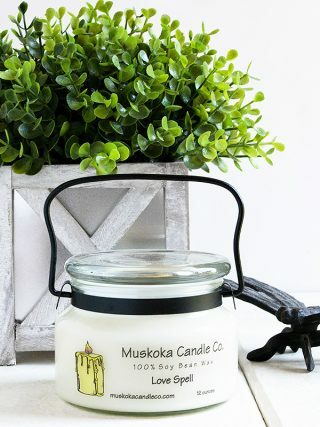 – Muskoka Candle Co.
Soy wax is hydrogenated soybean oil. The Soy beans are frozen at -30 degrees Fahrenheit and then the oil is extruded. Soy wax is 100% natural with no additives, such as stearic acid, polymer, microcrystalline and polyethylene. All these additives are used to enhance the quality and characteristics of paraffin wax. These chemicals are not needed to enhance the quality and characteristics of Soy wax. Soy wax is a non-petroleum based product. Paraffin wax is a by-product of refining crude oil into petroleum, making it unsafe for our environment and our bodies. Soy wax is virtually soot and smoke free. Soy wax candles, do give off a small amount of smoke, which is produced by the wick. By burning soy wax candles, you will no longer develop soot or smoke build up on your walls, ceiling or furniture. Not to mention your lungs! Soy wax melts at a low temperature. This allows for an excellent fragrance throw, and scent retention. Soy wax does it on its own naturally and does not require additives to absorb the fragrance oil. Our candles are hypo-allergenic and should not effect people with respiratory problems. When you burn your soy wax candle you might notice a mushroom of flower-like formation on the end of the wick. This is a natural phenomenon common to soy wax that does not occur with other waxes. It is not the wick that causes this. Before re-lighting your candle it’s okay to knock ash off the wick before but it is not necessary. Do not trim wick in case you trim it too short! You may also notice that sometimes your candle will “sweat” in high ambient temperatures or direct sunlight. This is a natural occurrence. 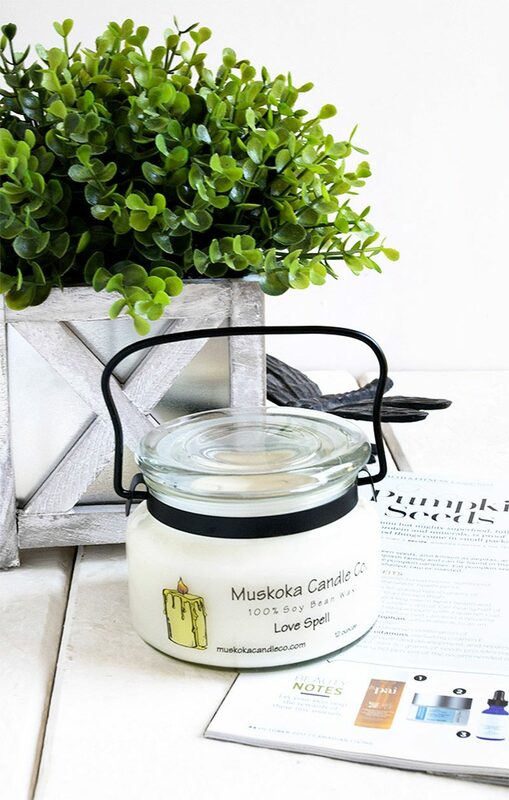 100 % Soy wax candles have to be manufactured in some sort of glass, ceramic, or metal container, due to the softness of the wax and low melting point. The candle will pool to the edge of the container and will not tunnel. This also contributes to the longer burn time.